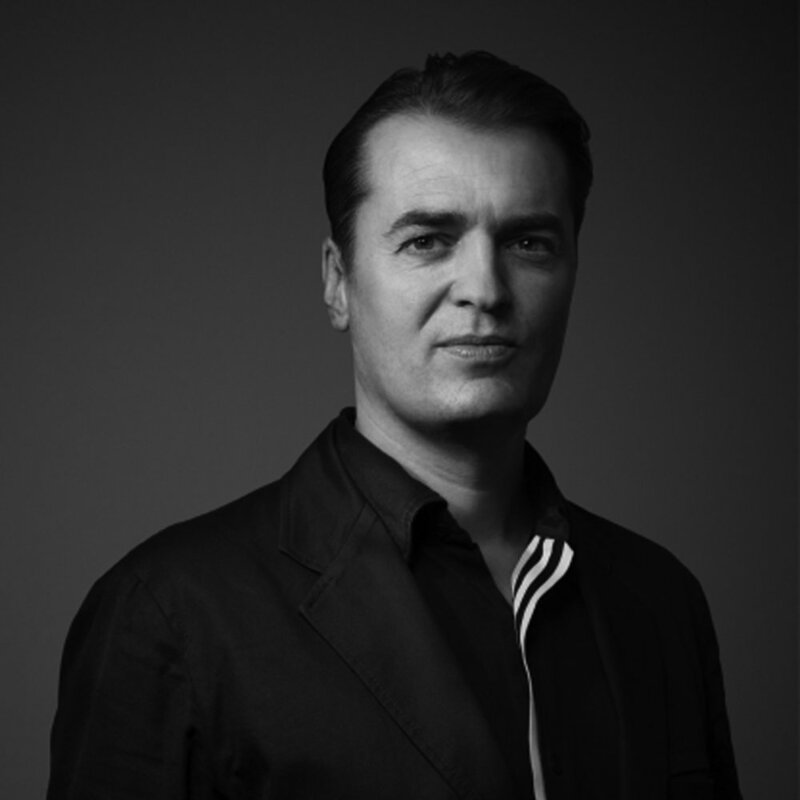 Straddling roles of practice, research, and theory, Patrik Schumacher is a long-time partner with Zaha Hadid Architects, founding director of the Architectural Association’s Design Research Lab, and author of numerous essays and books. Drawing from all three platforms, he has fervently articulated and defended his concept of “parametricism” (a term he is credited with coining) as not just a methodology, but a style. He has positioned it as the next major successor to modernism and put it in direct opposition to many postmodern polemics; while his provocative arguments are frequently met with controversy, he enthusiastically engages discussion through extensive lectures and debates. The day after his public debate with Peter Eisenman, Jeffrey Kipnis, Reinier de Graaf, and Theodore Spyropoulos at the Congress Plaza Hotel in Chicago, Patrik Schumacher sat down with FM to discuss parametricism at the scale of the city. FM. You use the term “garbage spill” when you reference urbanism in your writings and interviews; can you explain this term and its impact on the city? PATRIK SCHUMACHER. It is a condition that is happening out in the world, which deserves our criticism—it’s a collage condition. Collage is a fragment, a sample of a garbage spill. The condition of the whole existing city is a collage, so it is a reality. But since we’ve learned how to overcome its deficiencies and problems, we can collage better than the monotonous, pre-structured carpet of modernism—which doesn’t absorb contingency or difference. That’s much more bankrupt than collage, right? So I’m saying then, intellectually, within the history of the discipline, collage is bankrupt; I would say it has been for over twenty years. But reality is still full of collage…so it’s still a reality that we’re struggling to overcome. Well, collage had its day and currency as a concept, and the discipline got excited about it, I think, correctly. Starting around the early 1980s it was a kind of driver for about a decade. And it tied in with deconstructivism. It was a new degree of freedom in composition—how to manifest more complex, less predictive conditions of the city. That was liberating, a radical innovation that would violate the aesthetic repertoire of architecture, so there were things you might look at and say, “This is collage,” but they were a hodgepodge, a clap trap. It wasn’t—it would never be accepted as architecture, it wasn’t an enhancement. But now collage is no longer enough; Kipnis, Greg Lynn, and myself, we rejected collage. Collage was the anti-term; it was not enough to just be. We wanted lots of things coming together, which at times could be unpredictable, but they should start to come together for degrees of synergy, right? There are reasons why they come into proximity, not a random event—it looks like a garbage spill, but it isn’t a garbage spill. So, it isn’t enough to just leave [the effect of collage], you want to articulate these synergies, express the relations which motivate that collision. So, you end up with something that is no longer collage. That was one of the major criticisms of us, “Oh, this is still collage.” They haven’t been able to resolve and transcend it; therefore, collage is no longer productive, it no longer has intellectual credibility in architecture—it’s bankrupt. You are positioning parametricsm as the solution to garbage spill urbanism in a way that works against what exists. How can parametricism work with the existing context, not just against it? I can throw together existing things, then insert a new element. My addition is knitting and tying to allow these things to resonate with each other through my new medium. I can do it with these fragments embedded. It’s a bit like an amoeba that swallows, absorbs, and presents the fragments it catches. Of course it’s hard, it’s incredibly jarring…you’re calming down irrelevant differences. Well a lot of differences are still there, but they have more continuity; you filter out some differences—a reduction of complexity. When you add something, it makes all these connections, to then later on look as if it was an organic whole. So that would be the answer, that you can transform a collage to any complex parametricist condition. They’re transformed, they’re absorbed. They’re no longer fragments, they’re particular elements, part of the reading. You know? You bring out the latent symmetry; you wrap them somehow into a body, which now is more unified. So you’re emphasizing that your contributions to the city absorb the existing buildings and intertwine them into a coherent whole…however, your urban scale proposals usually seem like an attempt to redefine the city through recreating it completely. Usually when you have large sites, they’re relatively open. Then at the edges, that’s where all the tying, stitching, and connections come in and then there’s a lot of new. It’s a condition of how these sites are cleared and set up. I’m thinking that parametricism must become universal, hegemonic; a global best practice methodology, a set of values, and a set of ambitions. Every intervention from now on can follow that ethos, then you would see the transformation of the city into something new, because every intervention would look for resonances, make connections. Look at London, they have literally hundreds of cranes, they’re ripping up segments everywhere, so if that entire overlay would be done in the spirit of parametricism, imagine the impact. But of course it would also require that the whole street, for instance, be resurfaced and drawn up into courtyards and voids and so on. It also takes time, but if you look at our projects, it picks up axis and geometries, it radiates beyond its extra site, and it draws in and allows rhythms and patterns to bleed into the site and transform it. That would be the spirit where you can actually have more impact than the actual site you touch. Say that parametricism becomes a global homogeneous condition, beyond just its current practicioners. What would this entail for cities? So in fifty years we’ll look again, it’s the same kind of shock of transformation that you achieve. But in the twentieth century, modernism came about as a paradigm shift moving away from humanism, which had lasted for 500 years since the Renaissance. We’re now in the beginning of post-humanism, so does parametricism signal a new paradigm shift or is it a continuation of post-humanism? If you think just in terms of architectural repertoires, you can’t lock together everything pre-modernism, I mean, it’s different: Renaissance, Baroque, Gothic, Neo-Gothic, Neo-Renaissance—but let’s call it something like, the historical city or classicism. Classical Architecture lasted 500 years, then Modern Architecture. That’s a big divide. And the next stage is as big of a divide, with parametricism. And humanism is less clear because it’s a philosophical concept and modernists would like to call themselves humanists. You can interpret them as anti-humanists; there are anti-humanist tendencies about them. Plus, if you look at the Bauhaus and Oskar Schlemmer, there are strange revolting figures, the breaking out of preconceived notions of human nature. That’s supposed to be an anti-humanist spirit, which I also find intriguing. I accept invariance, and there’s something that is human nature, but it’s quite barren, hard to pin down, and emphasize the openness of self-creation; self-recreation of society, that’s anti-humanist. So you don’t—you can’t say things like, “Oh, people as humans prefer small scales,” or “People like warm materials,” or “People like natural things,” because that’s humanist, so that will be humanist architecture that tries to internalize certain conditions. There’s a danger in doing that, this suddenly has a pattern language, internal structures…I’m not denying that there’s something, but it becomes too...frozen. Well, technology is not the whole answer, but it’s a big part of the answer. What it’s all about, you know: freedom, prosperity, charity…it’s freedom from the oppressive burdens of organic and natural conditions, as well as social oppressive conditions. Prosperity is part of it. Social progress, the progress of civilization—it can only mean something, that our lives are more free; we have more time, less worries, more gratuitous exploration, curiosity—our lives are much more like that now than years ago. That freedom began in the late twenties, participating in production. So that’s productivity. The material necessities—nutrition, health, and comfort—produced by less time and working hours; also, working conditions are more benign and pleasurable. So, you work while having a coffee online, and every ten minutes checking Facebook—it’s better than backbreaking work…and when you work, its real information. So that’s progress. Prosperity, freedom, they are important to economic progress, productivity. So I like to say that online performance environments are more productive—you waste less time, you get more output per man power, and that means a lot of time, information, process, and efficiency. We're skeptical of over-choreographing human behavior. We're interested in what happens when unexpected behavior occurs. How can parametricism promote social freedom if it's designed as an environmental of predicated behavior? I would say we create more productive environments. I mean, that’s difficult to model, but you can also have stochastic and random acts incorporated in the model. Something new and unexpected…we want that. Life becomes like this, our routines want to be sometimes disrupted. I want to not always meet who I already know and know I can get on with. Maybe I want that little bit of spice and throw somebody in, or I wouldn’t have fusion. Randomness—these laws, all these laws, might be stochastic laws. We might also create an environment that we leave indeterminate. We withdraw meaning, and leave it blank. And that creates a lot of irritation—“What is that? What am I doing here?” So it could be irritating and cause a lot of anxiety if you’re unclear where you are, whose space it is, what is to be expected? By doing this, you make it strange. These techniques, which deconstructivism was about, need to be in the project we’re talking about—they should be in there, are in there, want to be in there—you know. This idea of gratuitous differentiation, things which have yet to be given meaning by others spontaneously—this pure creation—that’s the way biology works, random mutations, right? There were structures that were used for something, and then suddenly, they work with something else—everything in biology is coming out of something. And in technology, also, a lot of things are first discovered for something and then, through tinkering, they are transformed into another thing. That open element of mutation is very important to social process, and I think in the contemporary society, the art world is delivering some of that—gratuitous, random acts of provocation. So do you believe that architecture still has the ability to evolve? I get this a lot because I’m misunderstood…the word “fascism” comes up. You need to think of the historical evolution of these times—you must believe that all the advantages and potentials of all prior starts are absorbed. It’s not one replacing the other, it’s cumulative. In a sense, collage is in there. Things bleed into one another. It’s not that there’s no seriality at all, it’s an interrelated, flowing gradient of repetition, and it needs to be cumulative. It’s the same as any science—it’s the way Einsteinian physics absorbs all of the truth of Newtonian physics. Even of the historicists, of the Baroque, the Renaissance, the Gothic, all the intelligences are accumulated and synthesized. It has to be, because…sometimes you have to make choices. You can’t have everything, equally, at the same time. It’s the intelligence and capacity to be cumulatively absorbed into the latest stage, the highest stage. These things sound wrong, right? Because we’re so used to each and every choice having to qualify; that’s an instinct because we have to live together in a proto-society where everyone can reach the same level and so on. We need to not go too far with this and say that we have to stop qualifying different approaches. You know—social media is better than postal service; a medicine based on the genome is better than one without. You simply wouldn’t want the latter. Architecture must be also looked at like this—why should there be no progress there? It’s just harder to penetrate—architects are a less analytic lot. Confusion is rampant. But even in medicine—medicine is a complex field, you have quackery rampant. That doesn’t mean that it’s all-equal, that doesn’t mean that all the quackery is intellectually bankrupt to be discredited forever. In medicine, there’s a kind of critical mass of consensus that allows progress. Institutions are selected. In architecture, you can have horribly ignorant backward people running institutions. Quacks. It’s not filtered—that’s what we need to collectively work on, to ratchet up the intelligence of the field. Why is that the case? I think it was different in the ’60s and ’70s, it was clear; in the biennales there was a shared rationality that was needed to bring forth the mavericks, the geniuses, the intuitive, and the creators to find new paths; then there is selection, analysis, comparison, and new inventions based on that and so on. And I think that in that maturing, new paradigm, you will need a new cast of characters.